Gain a broad foundation of advanced data analytics concepts and discover the recent revolution in databases such as Neo4j, Elasticsearch, and MongoDB. This book discusses how to implement ETL techniques including topical crawling, which is applied in domains such as high-frequency algorithmic trading and goal-oriented dialog systems. You’ll also see examples of machine learning concepts such as semi-supervised learning, deep learning, and NLP. 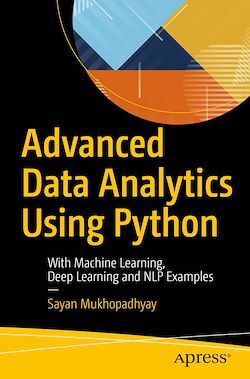 Advanced Data Analytics Using Python also covers important traditional data analysis techniques such as time series and principal component analysis. After reading this book you will have experience of every technical aspect of an analytics project. You’ll get to know the concepts using Python code, giving you samples to use in your own projects. Data scientists and software developers interested in the field of data analytics.